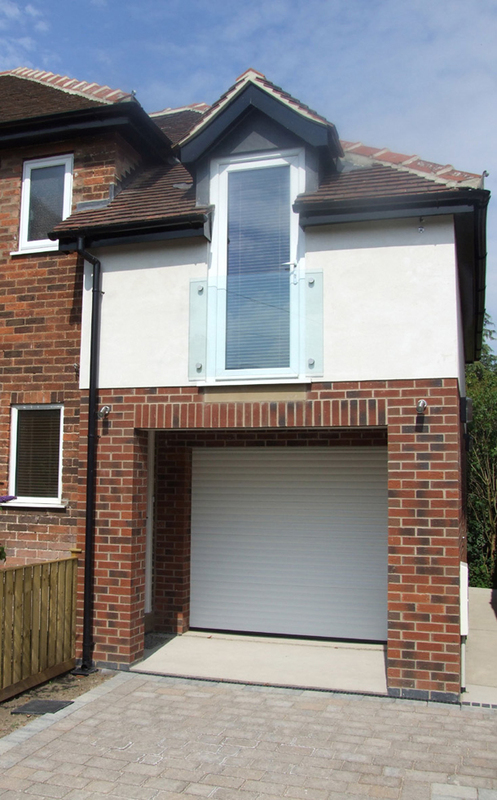 This semi detached property was built in the 1930’s with ground and first floor flats. Our client owned both a ground and a first floor flat and wished to extend the building to add a garage with an office above for the benefit of his flat on the second floor. The brief was clear in that the extension had to blend seamlessly with the host property but at the same time not look dated and provide a pleasant working environment in the office. The client was delighted with the finished product. The scale of the extension, the re-claimed roof tiles and matching brick achieved a seamless connection with the existing property, the modern high specification render and the glass balcony achieved a slightly contemporary feel and avoided a dated look and the roof lights and full height glazed door onto the balcony achieved a pleasant environment in the office.